Can it get any worse? dreadful stuff! Considering that we've been playing West Ham ( not consecutively obviously) for a century and a quarter, one might be forgiven for thinking we might have won 50 or more of those matches. Ah but, this is Fulham so of the 102 games we've met in League and Cups, we have won just 32, the Hammers 47 and we've drawn 2%. The usual story, we start out promisingly and conclude with a drubbing. Not a lot changes really, does it? Whoops I forgot, often we start out awfullyy and concede thaen look better in the latter stages, though the sum total is generally about the same. We generally lose these days. Hindsight is a glorious luxury that we humans have constantly fallen back on to lessen the pain of events that have not gone entirely to plan and last night maybe there was just cause for thinking things might actually have worked out differently. That the West Ham equaliser should have been disallowed for a deliberate handball turned out to not be the deciding factor in the end. The claim that things might have turned out in our favour had that one been disallowed, sadly, cannot be proven and judging by the overall defensive tragedy that we witnessed, I reckon it was irrelevant in any case. 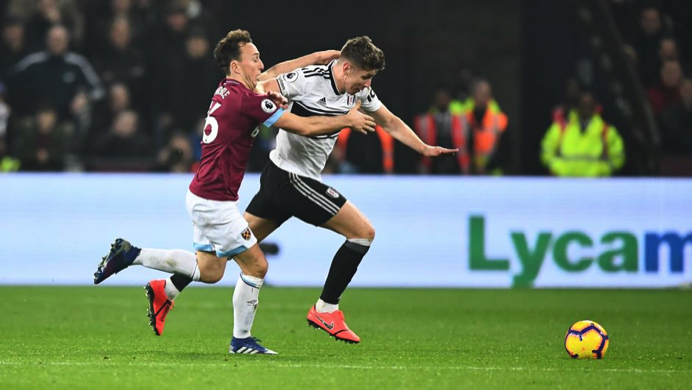 Despite all that however, the remarkable thing was that Fulham could have been two goals ahead had Ryan Bable not softly gifted a golden opportunity to the West Ham keeper vrtually straight from kick off. Ranieri named Ryan Sessegnon, Tom Cairney and new man Håvard Nordtveit in the starting 11, Nordtveit went in alongside Ream in the centre of defence rounding off a 4-4-2 format. The away contingent for oyur sell-out visit numbered 3,000 and they were rather vocal once the bubble nonsense was over and done with. The early missed chance came from A mitroball which Seeegnon took on the left, he laid a terrific croos across goal behind the pedestrian Hammers which was gleefully picked by a fast encraoching Babel who had got behing the home team, with only the keeper to beat he somehow contrived to lamely pass it to him, this was after a mere 30 seconds. The second goal was another example of rash defending and goal keeping incompetence, our goalie never catches a ball when he can punch it and the times this has lead to disaster still hasn't taught him anything. One of the other glaring examples of the inadequacies of our defence is the ridivulous cheap free kicks in dangerous areas they concede. Bryan, you are one of the worst offenders, constantly offending. 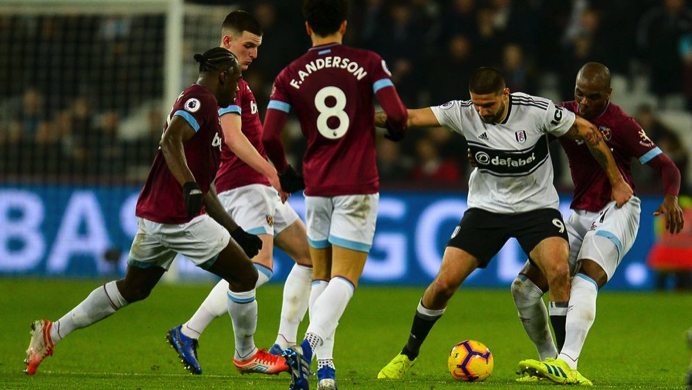 The Hammers' third goal was another ridiculous nail in the coffin, as despite the flaws in the Fulham performance, the Whites had loked impressive throughout much of the second half, with good possession and some actual ball winning in midfield, naturally there were chances not taken and Mitro might have done better here and there but as has been the way this season, it was all downhill nce the Hammers took the lead. Can we do it, of course we can't!